The Mohs scale of mineral hardness is a qualitative ordinal scale characterizing scratch resistance of various minerals through the ability of harder material to scratch softer material. 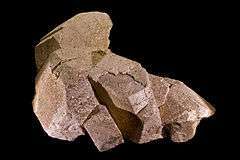 Created in 1812 by German geologist and mineralogist Friedrich Mohs, it is one of several definitions of hardness in materials science, some of which are more quantitative. The method of comparing hardness by seeing which minerals can visibly scratch others is, however, of great antiquity, having been mentioned by Theophrastus in his treatise On Stones, c. 300 BC, followed by Pliny the Elder in his Naturalis Historia, c. 77 AD. While greatly facilitating the identification of minerals in the field, the Mohs scale does not show how well hard materials perform in an industrial setting. 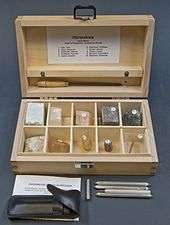 Despite its lack of precision, the Mohs scale is highly relevant for field geologists, who use the scale to roughly identify minerals using scratch kits. The Mohs scale hardness of minerals can be commonly found in reference sheets. Reference materials may be expected to have a uniform Mohs hardness. The Mohs scale of mineral hardness is based on the ability of one natural sample of mineral to scratch another mineral visibly. The samples of matter used by Mohs are all different minerals. 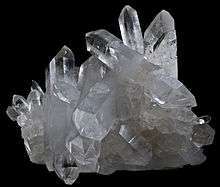 Minerals are pure substances found in nature. 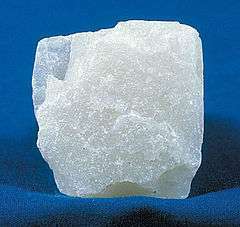 Rocks are made up of one or more minerals. 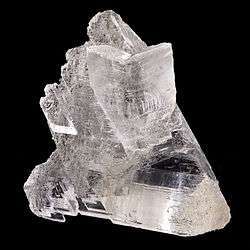 As the hardest known naturally occurring substance when the scale was designed, diamonds are at the top of the scale. The hardness of a material is measured against the scale by finding the hardest material that the given material can scratch, and/or the softest material that can scratch the given material. 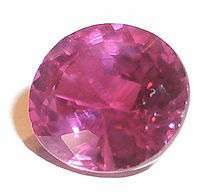 For example, if some material is scratched by apatite but not by fluorite, its hardness on the Mohs scale would fall between 4 and 5. 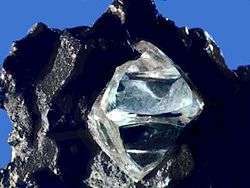 "Scratching" a material for the purposes of the Mohs scale means creating non-elastic dislocations visible to the naked eye. Frequently, materials that are lower on the Mohs scale can create microscopic, non-elastic dislocations on materials that have a higher Mohs number. While these microscopic dislocations are permanent and sometimes detrimental to the harder material's structural integrity, they are not considered "scratches" for the determination of a Mohs scale number. On the Mohs scale, a streak plate (unglazed porcelain) has a hardness of 7.0. Using these ordinary materials of known hardness can be a simple way to approximate the position of a mineral on the scale. ↑ Pliny the Elder. Naturalis Historia. Book 37. Chap. 76. The methods of testing precious stones. ↑ Mukherjee, Swapna (2012). Applied Mineralogy: Applications in Industry and Environment. Springer Science & Business Media. pp. 373–. ISBN 978-94-007-1162-4. ↑ Berger, Lev I. (1996). Semiconductor Materials (First ed.). Boca Raton, FL: CRC Press. p. 126. ISBN 978-0849389122. 1 2 Levine, Jonathan B.; Tolbert, Sarah H.; Kaner, Richard B. (2009). "Advancements in the Search for Superhard Ultra-Incompressible Metal Borides" (PDF). Advanced Functional Materials. pp. 3526–3527. doi:10.1002/adfm.200901257.